Ostello Bello is one of our newest hostels and has already made a huge impression - this highly rated hostel was named the Second-Best New Hostel Worldwide at the 2011 Hoscars. It's located just a short walk from the metro, the Duomo, Galleria Vittorio Emanuele, La Scala, Santa Maria della Grazie and Castello Sforesco. Hostelworld guests have high praise for this hostel, saying they offer 'hotel services at hostel prices' and that 'for any traveler, they have the main three must-haves: price, cleanliness and location'. 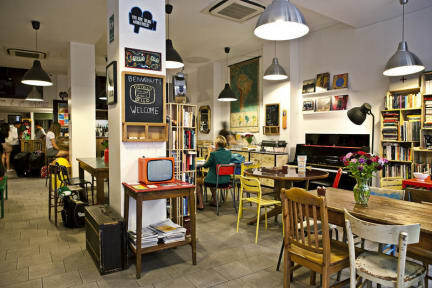 THE BEST LOCATION: Ostello Bello, Rated As Best Hostel In Italy 2017 By Hostelworld, Is Only 500 (Real) Meters From Landmark Duomo Square, Uniquely Central To Milan's Vibrant Downtown, Walking Distance To All Its Historical Points Of Interest, The City's Nightlife And World Famous Shopping Neighborhood. Just Ask Our Reception, Open 24/7, For Any Insightful Tip, Update On Events Or Directions! STAFF: Our Team Has Traveled Throughout The Five Continents, Visiting More Than 300 Hostels. As Hostel Guests Ourselves, We Want To Provide The Best Hospitality And Experience To Other Fellow Travelers! We Speak English, Spanish, French, Portuguese, Corean, Flemish, Polish, Lithuanian, Russian And Greek. VALUE FOR MONEY & FACILITIES: We Know Milano Is A Little Expensive And It’s Not Easy To Be A Traveler (Or A Tourist) In This City, That’s Why We Decided To Offer You All The Services You May Need Including Them For Free In Our Price. - Lounge With TVsat (With DVD, Wii PS3), Boardgames, Fussball, Arcade Games Etc. Etc. ATMOSPHERE: Our 5 Floors Building Is Not Only A Place To Sleep, It's A Place To Live! The Ground Floor And The Basement, Where You Find The Reception, The Bar And The Lounge, Are Open To Everyone Until 1am, So You Have The Opportunity To Meet People From Milano And Feel Like A Local In Our City. That’s Where We Organize Cultural Events And Any Other Kind Of Activities, As Live Music Every Tuesday And DjSet Every Wednesday. The Other 3 Floors Of The Hostel, With Rooms, Guests’ Kitchen And Terraces, Are Acoustically Isolated From The Bar And Are Accessible Only By Our Guests To Make Sure They Can Spend Their Holidays Resting And In A Quiet And Relaxed Environment. Ostello Bello, Your Home Away From Home! SAFETY: Every Guest Has His Own Locker In His Room And We Will Provide You With Padlocks For Free As You Check In. You Can Also Use A Safe Deposit Box At The Reception For Your “Small” Value Items (Laptop, Money, Passports…). To Facilitate Your Check-In And Check-Out You Can Use Our Free Luggage Storage. Our Lift And The Stairs Door Leading To The Rooms Can Be Opened Only With Your Own Keycard, So You Are Guaranteed That Only Guests Can Get To The Rooms & Terraces Floors. CLEANLINESS: As You Check-In You Will Be Showed Around All The Hostel; By Doing This We Can Check And Verify Everyday (About 30 Times Per Day) The Cleanliness And The Maintenance Works In The Rooms And In The Common Areas. We Are Very Meticulous And Serious About This, So If You Ever Notice Something To Fix (But You Won't), Please Let Us Know! GABY & ANDREA ( AND THE REST OF THE STAFF) WERE INCREDIBLY KIND AND HELPFUL. Really nice hostel. Wish I stayed longer, super clean and nice rooms. Cool atmosphere and good location. Great! Dusan was very welcoming! 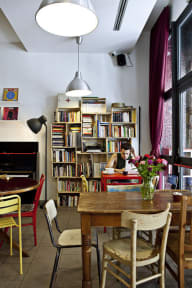 Ostello Bello in Milan is easily one of the best hostels I have ever stayed in. The facilities, staff and location are all really excellent. The rooms have en-suites which are cleaned daily. Breakfast and dinner are included and the atmosphere is really great. I had the best time. The staff at the desk were extremely helpful and willing to put in the effort if I ever need anything. They also were helpful for my next trip! I defiantly felt at home and it was very easy to locate and walk to and from. I would highly recommend this to anyone! Had a reservation at this hostel which I made several months before. However when I arrived they notified me that my reservation did not exist. They claimed to have sent me an email, but I received no email which I showed the gentleman at the front desk. They moved me to Ostello Bello Grande which was on the other side of the city. Even when I was switched hostels, I was still asked to pay the full price. It was a disappointing experience. I hope to have a more professional experience next time. I did happen to show up by mistake during design week where beds were 100 Euros a night. Although I didn't pay that. Do not under any circumstance pay that much for an 8 bed, room as you won't sleep that well. This is an okay place with okay amenities at best. It is a bar atmosphere at night so if drinking and smoking is your scene you'll fit in. If you are a traveller go to another hostel.